You will need to delay swimming. Incisions and sutures will need to be protected from harmful bacteria that tends to be present in pools, lakes, creeks and the ocean. Our team will let you know how long to stay out of the water, depending on the specific procedure. You'll be able to shower and bathe soon after your procedure. Avoid sun exposure. The UV rays may darken the color of your healing scars. Not only that, but the dehydrating effect of the sun may keep your body from healing as quickly and effectively as possible. If you do go outside, wear loose long sleeves and pants that block UV rays. Eat well and stay hydrated. Your body needs fuel to heal. Summer around here can really dry you out. Make sure you are drinking enough water to stay hydrated after your procedure. Beat the heat! 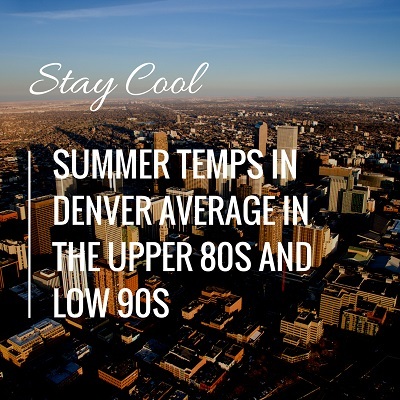 We've already seen soaring temps across Denver, and it's only June. Take care not to overheat and unnecessarily stress your body while you heal. This may mean staying indoors to cool off in some cases. Rely on our experienced team and board-certified plastic surgeons to guide you through each step of the consultation, procedure and recovery. To arrange a consultation in Denver at Grossman | Capraro Plastic Surgery this summer, please call our friendly team at 303-320-5566.